Mike began skiing and climbing after moving to Taos, New Mexico in 2000, but he first fell in love with the outdoors by spending time in the Blue Ridge Mountains in North Georgia as a kid. Skiing, climbing, canyoneering, and whitewater rafting has taken him all over the Western US., and has helped to define who he is today. 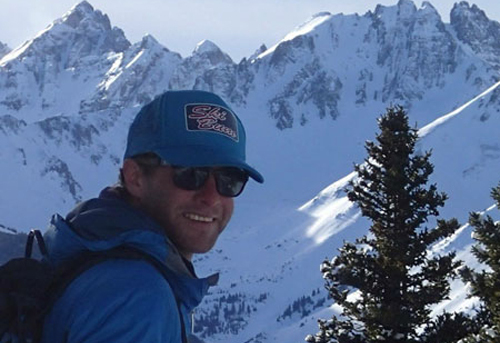 Mike went to college in Durango, Colorado and began mountain guiding after earning a BA, in Adventure Education from Fort Lewis College in 2013. He is currently living in Ridgway, Colorado; where he passes the time skiing, climbing, and taking his dog Yonder into the mountains. Mike loves spending time in the mountains because of the physical and mental challenges provided, the amazing people he gets to meet, and beautiful places he gets to visit. He is very passionate about teaching and sharing outdoor experiences with other people and he’s continually striving to become the best educator and guide that he can be. The things that get him the most psyched are powder days, sticky ice, rock climbing in the sun, beautiful views, good food, and great company.